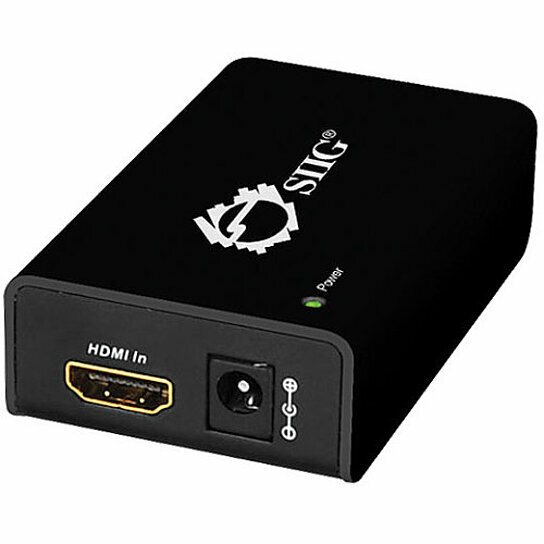 SIIG's HDMI Repeater is an excellent choice to extend HDMI signals out further over HDMI cables. It supports signal rate up to 2.25Gb/s with resolutions up to 1080p at 12-bit color depth and allows for unlimited cascading. This HDMI repeater bridges HDMI cables together enabling you to extend data transmissions over longer distances. The HDMI Repeater is HDMI 1.3 compatible and HDCP compliant, it is FCC and CE regulatory approved, RoHS compliant and is backed by SIIG's limited 3-year warranty.